Somewhere else... somewhen else... a band of motley travelers have united. Most of them know they knew each other before they came here but they have no memory of how they came to be there. There is one other thing they remember - they must find the wise man.... the sage... the healer... if only they could remember his name! 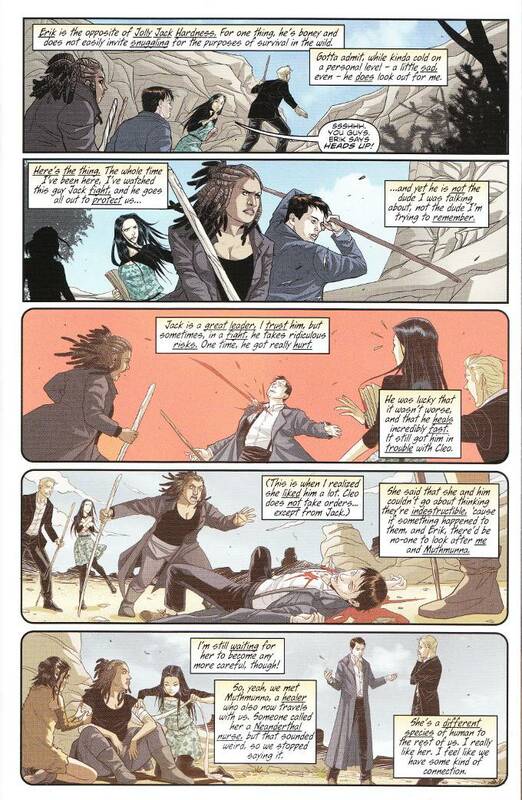 Nick Abadzis brought together all of his on-going story arcs in a most unexpected way in this issue. 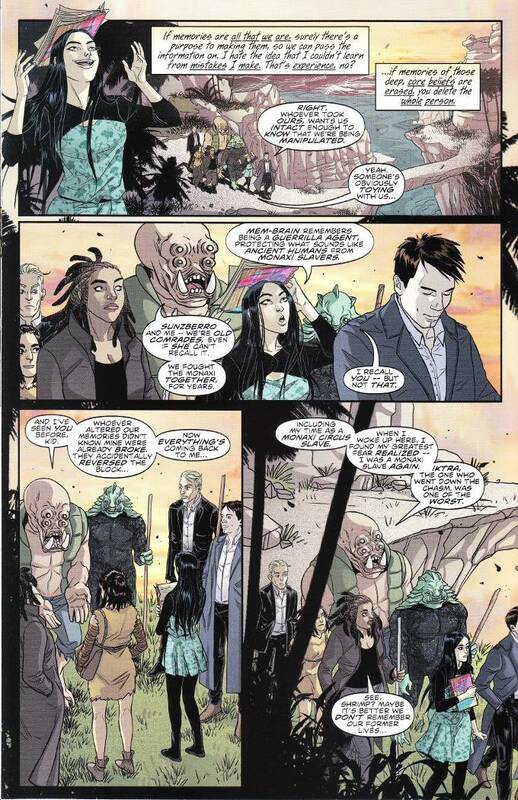 Continuing the tale from the perspective of our heroes post-amnesia is a bold choice but it pays off quite well And it's always fun to see Captain Jack Harkness in action, leading me to wonder if a Torchwood on-going comic might be in the future of Titan Comics' output? The artwork for this series continues to maintain its usual high standard. Elonora Carlini does a fine job of depicting the various strange aliens and not-so-strange aliens - always an important thing for a Doctor Who artist. Arianna Florean's colors prove the perfect conclusion to Carlini's original art.